Welcome back to my Magic for Artists series. If you missed Part 1, go back and read it now, because it’ll give you some background on why I’m doing this series and what some definitions of magic are, and why it’s good for fantasy artists especially to understand how you can use magic as an artistic tool and as a topic for making art. As I said in that last post, we’re not tackling magic in the religious sense, but more in the psychological sense. 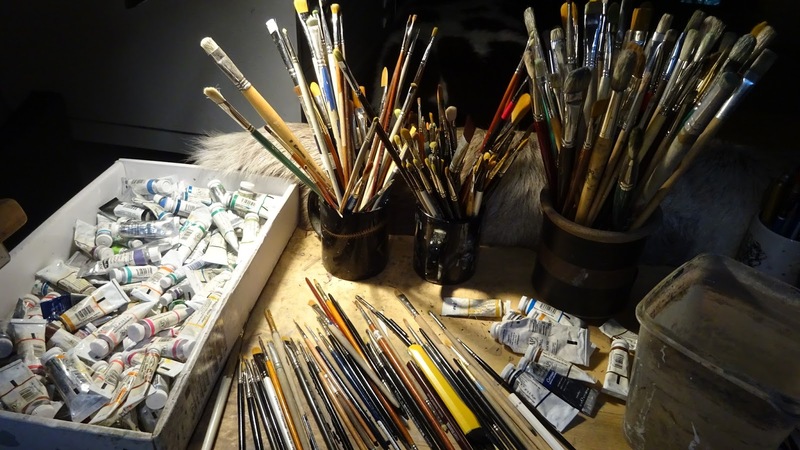 In a nutshell, I believe artists access the subconscious to make their art, and magic in all its forms are tools to help get your conscious brain and your subconscious brain talking. And one of the best ways for artists — because its so damn visual — is cartomancy, aka, card magic. Decks like tarot, lenormand, and oracle decks are literally the illustration of your subconscious. No wonder artists love illustrating card decks! My purpose in writing this article is to educate artists before they decide to tackle a Tarot deck. 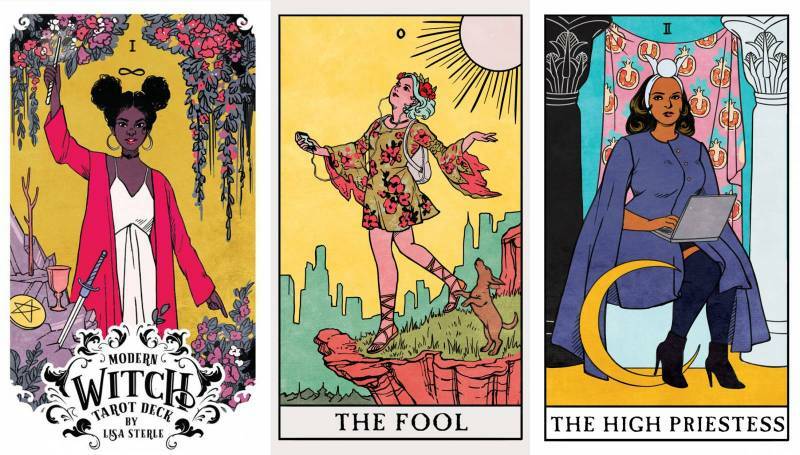 There are too many Tarot Decks out there where the art might be nice, but the artist didn’t know the meanings of the cards, so they’re not as good (and not as popular with the Divination audience) as they could be. And that’s a shame, because there’s so much demand for good decks of all types out there! And there’s a lot of artists who would be much better suited to doing an Oracle Deck, a Lenormand Deck, or another style of deck that would better fit their art (and vary the amount of cards they need to illustrate). I’m not going to be giving a lot of history in this post, because it will balloon infinitely out of control. So here’s a great article on playing card history from The Atlantic, a more in-depth page from World of Playing Cards, and a nice one specifically on tarot history from Mental Floss. To be called Tarot, a deck must have 78 cards: 22 Major Arcana (the famous ones, like Death, The Lovers, The Tower, etc) and 56 Minor Arcana in 5 suits (yep, just like playing cards). Kings, Queens, Knights, Pages (aka Jacks), and Ace thru 10 numbered cards in Cups, Swords, Pentacles (aka Coins), and Wands (aka Rods).
. The tarot also shows up frequently in his films, especially The Holy Mountain. The main difference between Marseilles Decks and Rider-Waite Decks are that Marseille Decks only have full-scene Major Arcana and more playing-card style Minor Arcana, while Rider-Waite Decks have fully illustrated Majors and Minors. Rider-Waite Decks are probably the ones you first think of when you think “tarot”. The cards and accompanying booklet were written by Arthur Edward Waite, and published by Rider publishing house in 1909. Sometimes these decks are called Smith-Waite Decks in order to credit the artist, Pamela Coleman Smith. (A Pratt graduate, actually.) Both Waite and Smith were members of the Hermetic Order of the Golden Dawn, and we’ll talk about them in a future post when we tackle some Chaos Magic. What made the Rider-Waite Deck so popular was that every card in the deck has a full scene illustration. Beyond that, Waite and Smith packed so much symbolism into the cards that it takes years to uncover it all. 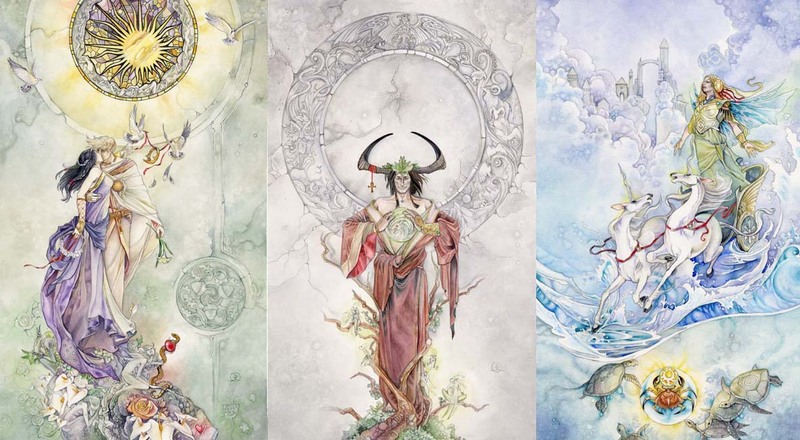 Which colors are being used for which character, the calmness vs. roughness of the sea, the way the Minor Arcana suits appear in the Major Arcana cards all lead you in how to intuitively interpret the meanings. Smith was a master of symbolist art and she illustrated layer upon layer of meanings into these cards. 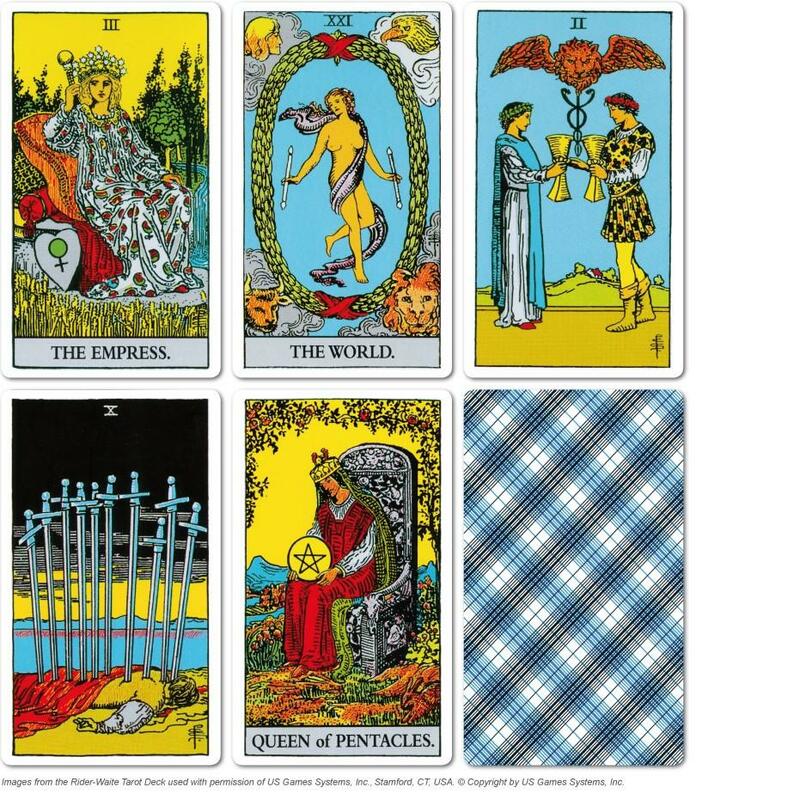 In fact, the 22 Major Arcana cards play out in the Rider-Waite as the story of a person’s journey to wisdom, from The Fool card to The World card. There’s so many Rider-Waite clones and they’re really fun. There’s a Rider-Waite clone for just about every theme you can think up. I have the Golden Thread Tarot, and I’m patiently awaiting my True Black Tarot. There’s even a Twin Peaks Tarot Deck. 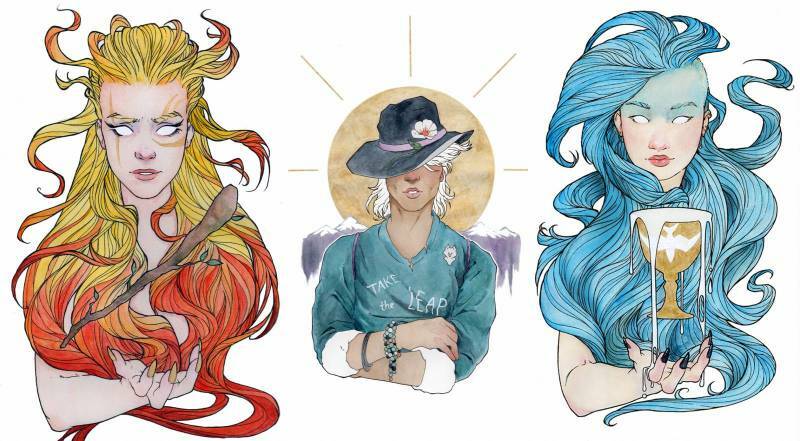 The third type of Tarot Deck doesn’t have a name, but we can call them Original Decks. They take the traditional card names and the card meanings of the Marseilles/Rider-Waite decks and apply their own illustrations of those meanings to them. 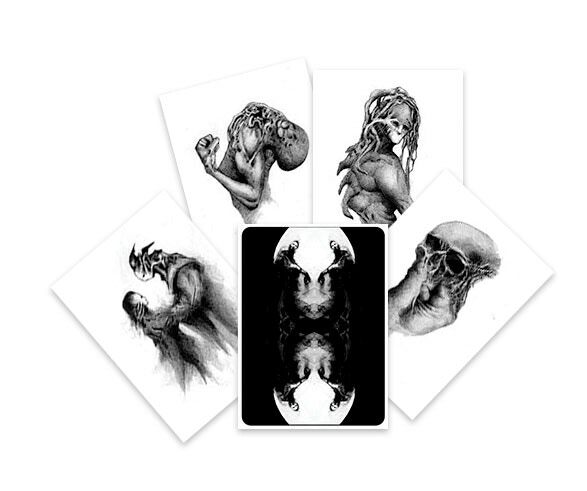 People like to gravitate towards these decks if they feel the traditional imagery can be a little too intimidating or too arcane. There are thousands of decks in this category. 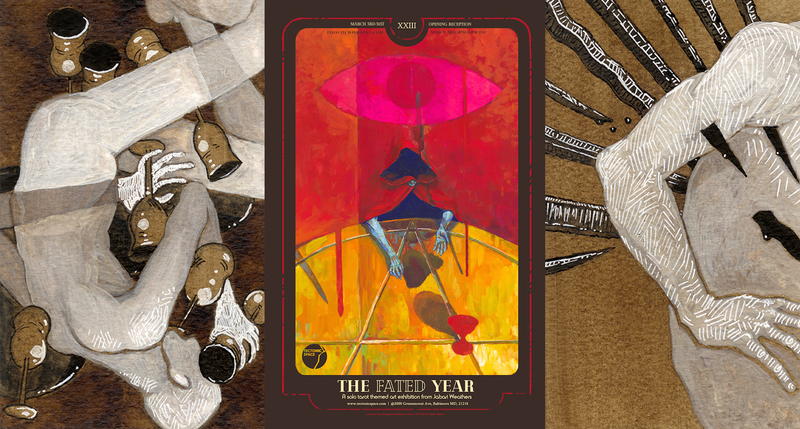 The Vertigo Tarot by Neil Gaiman and Dave McKean and Rachel Pollack is legendary. 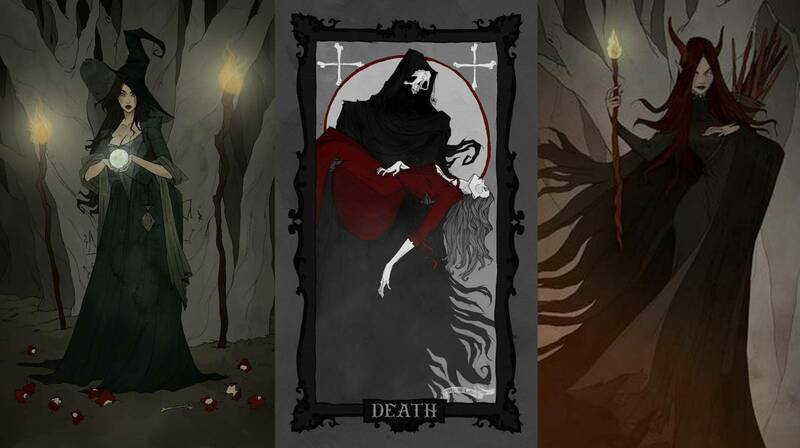 I’ve done readings on the Darkana Tarot, which is kind of an urban grunge look. 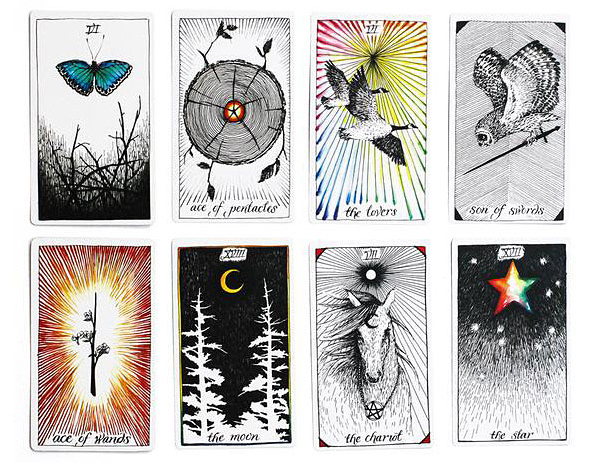 So regardless of what kind of Tarot Deck you have, each card has a specific meaning. And your illustrations will be better (and your deck MUCH more succe$$ful) if you work with the meanings instead of ignoring them. For example, no matter what kind of Tarot deck you have, the Fool card should illustrate naive optimism. The Three of Pentacles should be about collaboration. The Six of Cups should be about childhood nostalgia. Cups (water) are about emotion, Swords (air) about reason and action, Wands (fire) about passion and creativity, and Pentacles (earth) about the physical realm – body and work and money. You can even get into the numerology of the cards – all the 5’s are connected across the suits, and all about struggle. All the 3’s are about creation, etc. There’s so many layers of symbolism in these cards, it’s an artist’s playground to reinterpret. I promise you, you’ll create a much more meaningful deck (and inspire better illustrations) if you start from the card meaning rather than just copying someone else’s deck. Now you have no excuse! No more making non-functioning Tarot Decks, no matter how pretty they are! 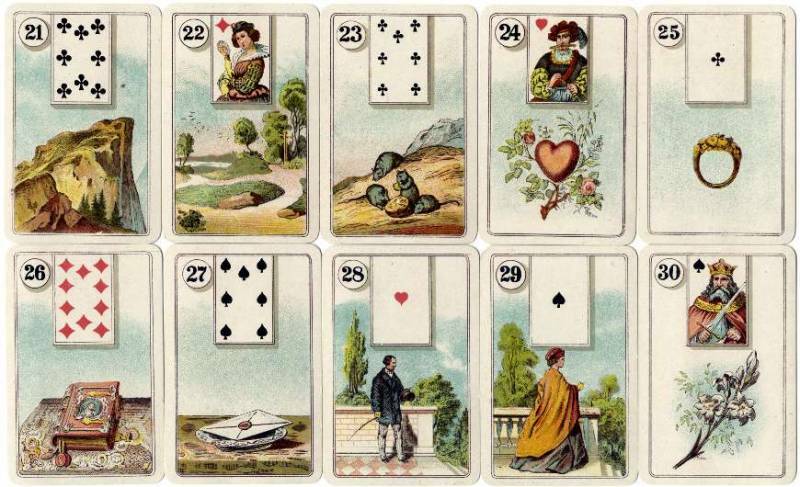 Lenormand Decks are a lot like Tarot Decks…except the titles of the cards & their meanings are totally different. Some people prefer Lenormand. There’s only 36 cards, for starters, and there’s no suits. They’re a little more object based rather than scene based, and you kind of…make sentences…To be fair, it’s not my expertise. 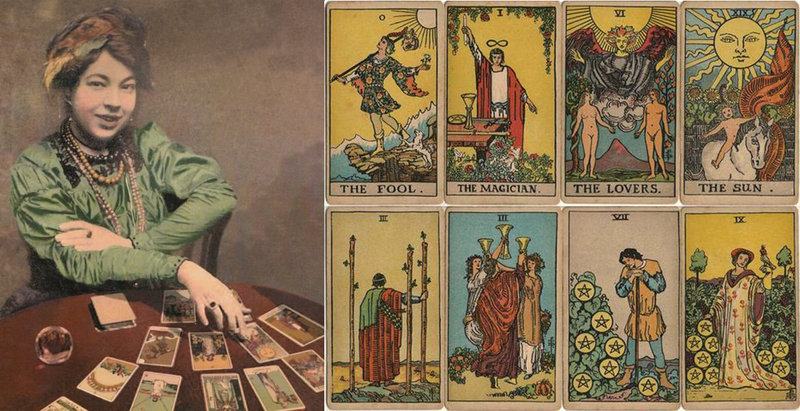 Here’s a great rundown of the differences between Tarot and Lenormand. In short, they work the same — using visuals to get gut reactions from your subconscious that your conscious mind can interpret. They have always been purely for fortune-telling and are considered a little simpler, more practical, and clearer (in a good way). 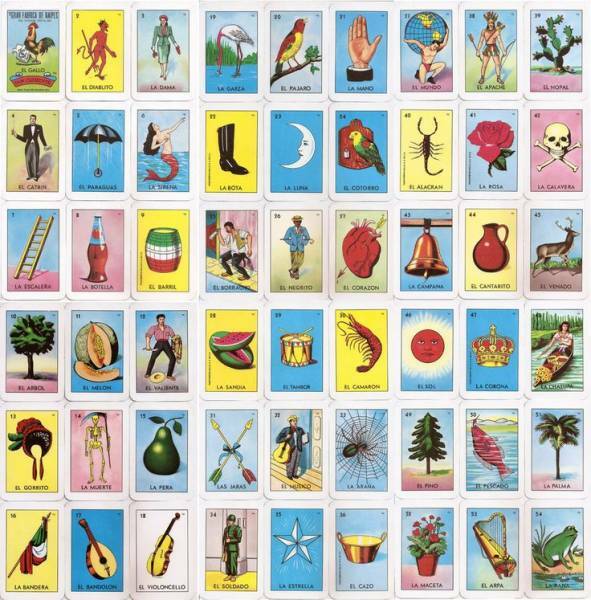 Loteria is very very popular in Mexico and Latin America, both as a game (like Bingo or a Memory style game) and as a fortune-telling tool. 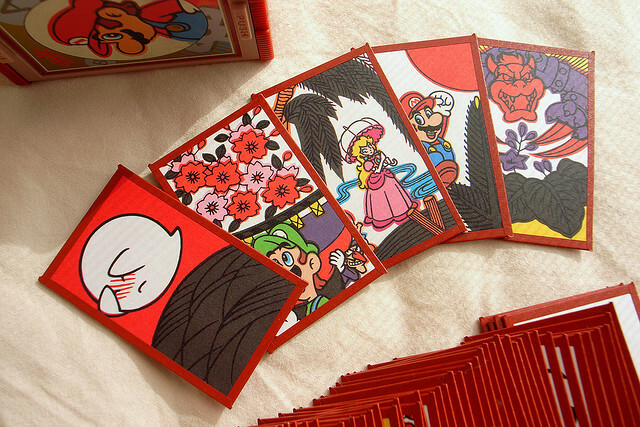 The original cards came over from Spain, but the most popular version of the game was illustrated by Dom Clemente. The cards are single symbols, and you can draw individual cards per question or use them in spreads like Tarot Cards. 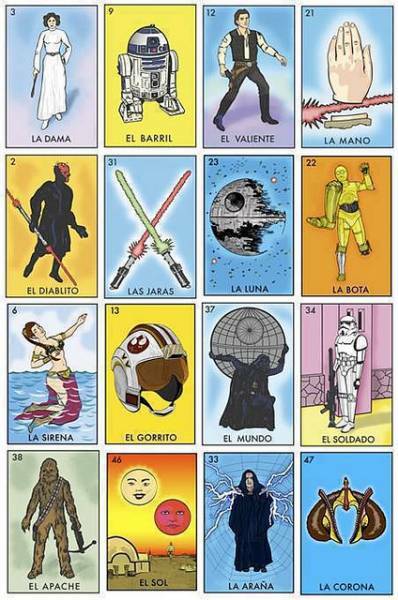 “Loteria is a game of chance and national pastime in Mexico. It’s essentially bingo, but instead of random assortments of letters and numbers, it’s played with pictograms. I’ve seen a ton of folk art takes on these cards, and plenty of culturally-appropriated ones, but rarely an imaginative science fiction/fantasy take. Being 100% Mexican American, I wanted to hold a deck like this in my hands, so i started creating the images I always wanted to see. By about the fourth card (‘El Arpa’), I realized I was making tiny stories in my head while I was drawing. So I started writing those down. I didn’t tell many people about the writing though until fairly recently. Those stories evolved into an umbrella narrative. 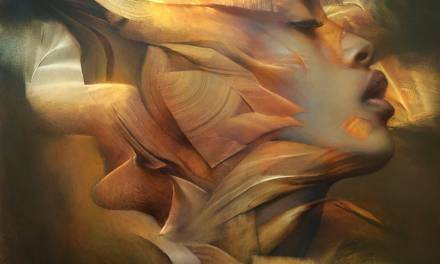 It’s been an organic process where the art leads the dance, as opposed to me writing something down and creating visuals to complement. Chepo Peña did a Star Wars Loteria that burned up the internet as a genius piece of fan art. 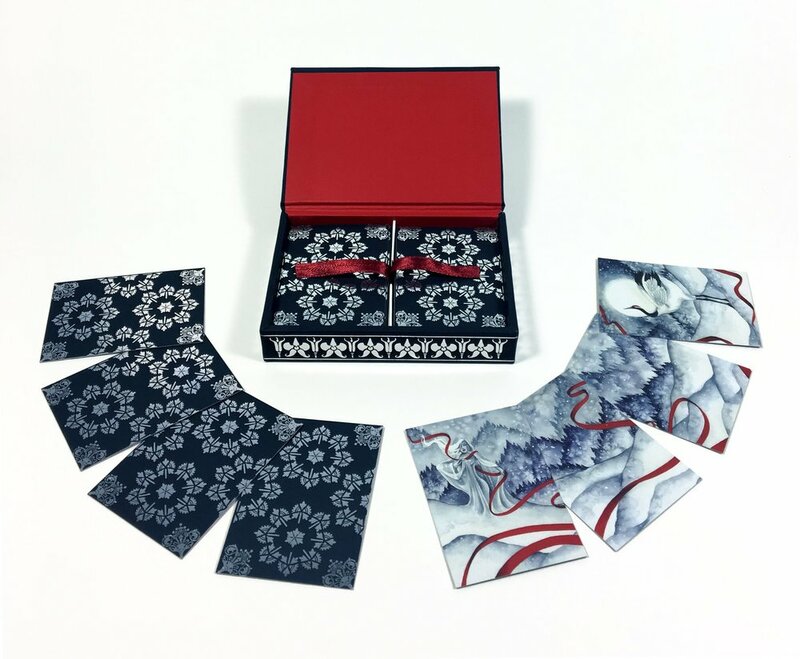 Hanafuda Decks are Japanese cards traditionally depicting flowers. There’s 48 cards divided into 12 suits, each relating to a month of the year and specific flower. Although Hanafuda was popular with the aristocracy in the 18th century, they didn’t catch on with the masses until Nintendo started mass producing Hanafuda decks. (Yes, that Nintendo.) You can play different games with them, and though I don’t know of anyone using them specifically as a fortune-telling tool, I have no doubt that someone has. And you could absolutely use them for subconscious prompting, just like you can with any deck. Last but certainly far from least are the Oracle Decks (sometimes called “Spirit Decks” or “Angel Decks”). 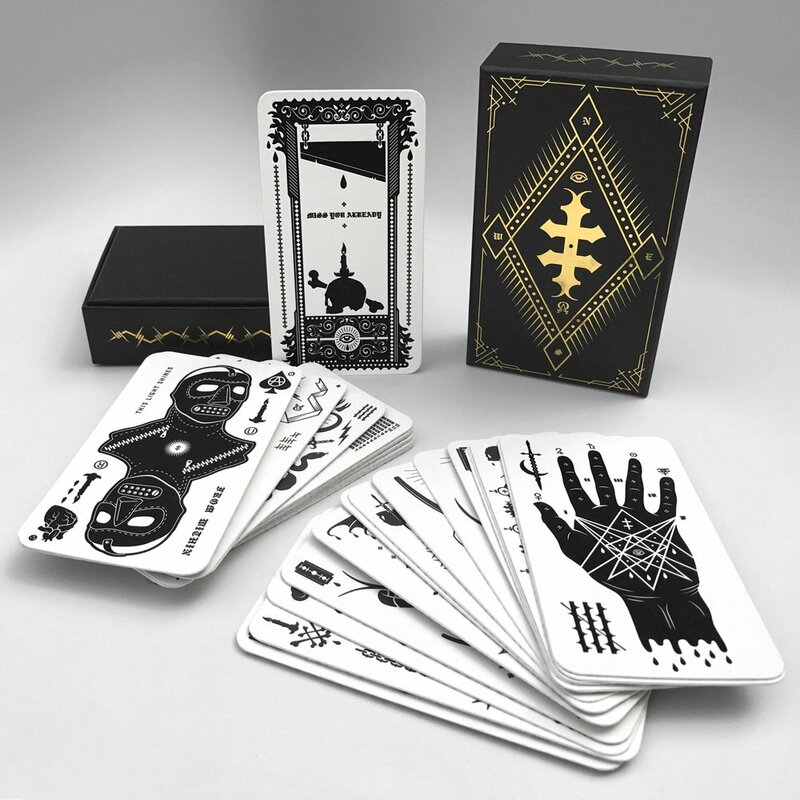 These are the decks that give you the most freedom as an artist AND they are enormously popular with the Divination community. You can have a deck of any size, with any kind of imagery. These decks are used purely as subconscious prompts and don’t have any games attached to them. Sometimes they are used before a Tarot reading, when one card is pulled at random and becomes a theme for the reading. Or you can use them in any Tarot Spread. Many Tarot Decks that become popular will soon after spawn an accompanying Oracle Deck, but there are plenty of Oracle Decks that are just Oracles. If you are really itching to make a deck, but the 78 cards of the Tarot is really daunting to you, then you can make an Oracle Deck of any size and theme. I have a very cool Oracle Deck from Birds Ov Prey. I’m sure I’ve missed some types of cards, but those are the big ones. So all of that explanation is to to help artists who are interested in making their own decks — which can be both a fantastic artistic journey, but also a lucrative one if you make a deck that becomes popular with the divination community. But cards are also a great creative tool for artists to use, not just make. 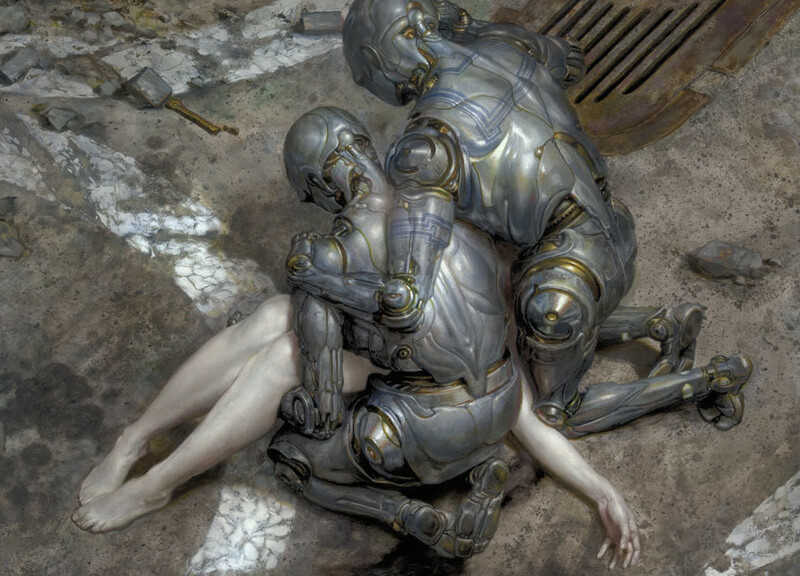 As we discussed in Part 1, artists dig up stuff in their subconscious, as well as the collective unconscious, and they get it across the gap to their conscious mind, where they can make something with it and reveal the truths they’ve dug up. And there are many different ways of bridging that gap, and coaxing those sparks of inspiration to leap across the void. Dreaming, meditating, taking a shower, even exercise can help. 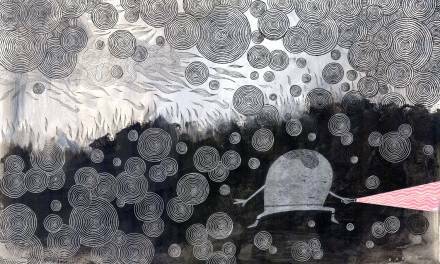 However, as visual artists, we respond to visual stimuli most effectively, and tools like cards act like more beautifully illustrated Rorshach inkblots, letting our subconscious free associate. The visuals and symbolic language of the cards let’s our primal visual-minded subconscious talk to our rational language-minded evolved front brain. 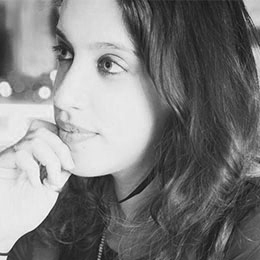 To strengthen that shared language, I would recommend what Moriah Simmons stressed in her Tarot for Creativity class: simply pull a card every day and use it as a prompt for either morning writing or warm up sketches. You don’t have to draw or write about the card literally — just let your mind wander and see what comes to mind when you look at the card. As you work with the cards over time you’ll get to know their meanings and have an even deeper well of associations to draw inspiration from. I’ve been doing that almost every day since January and it’s become a treasured start to my mornings. It wakes up my imagination and my creativity for the day. And I’ve gotten to know the Tarot symbolism so much better than I could have any other way. More Cards from Great Artists! “I had the pleasure of illustrating The Green Witch Tarot by Ann Moura for Llewellyn Worldwide (I believe is the largest US publisher of tarot and oracle decks). When working with Llewellyn the symbolism and imagery is per-determined by the author. I believe that often times the authors have a standing reputation within tarot/pagan/wicca/witchcraft community – at least that was the case with Ann Moura, who is famed for her Green Witchcraft books. As illustrator I received an art order which described each card in detail, including all symbolism. While I didn’t have an input on symbolism and elements in the art, the publisher was very clear that they wanted it 100% in my art style and showed me samples from my portfolio that they really liked. I also got to set my own deadline, and keep all my rights except for the use of the art as a tarot deck. It was a really great experience to work with them! What really blew me away about the experience was meeting the fan-base, tarot has an absolutely massive fan-base of very dedicated people. And there’s a process video too. You can find the decks here and here. I know I’m leaving a ton of artists and decks out, so if you want to post your deck, or a favorite, please do so in the comments! And for the love of all things SFF, will someone illustrate a decent Dune Tarot please?! Thank you for all this information Lauren! This is so awesome! Thank you for these posts, they definitely help me get more comfortable with tarot and other magic related cards (as someone who grew up as a Christian it was difficult to get my head around it and my heart into it). In the past year I decided to look into working in this field and finally I got my first Oracle deck commission and with Blue Angel Publishing!! I’m not so quietly freaking out haha. And to top it off I got selected to participate in 78 Tarot’s Elemental deck (your wish for someone to create an elements focused deck is granted!). It’s pretty exciting 🙂 If you ever do another post about this subject I’d love to hear about best working practices when it comes to doing a card set for example, which publishes accept submissions, the different types of contracts and ways of paying an artist, copyrights… and something I’m currently wondering about – how do you balance working on a deck with the rest of your life??! 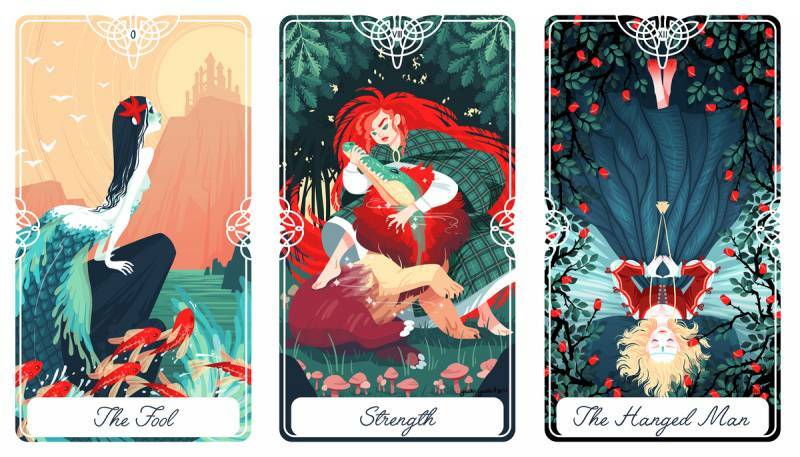 I still have to work a part time job and am worried that the time I have available won’t be enough (15 months) – though I know of some artists who completed a whole tarot deck in a year, I would love to know how they did it. Thanks again for a great post Lauren! Oh I can’t wait to see the deck! As I see it, the tarot (and a lot of “magic” is not in conflict with any religion. As any tool, it depends how you use it. Hello Lauren. Since you are a fan of Rachel Pollack you may enjoy the Lenormand Deck she made with Robert M. Place called The Burning Serpent Oracle. This deck has a 260 page companion book written by R. Pollack called The Burning Serpent Oracle, A Lenormand of the Soul. Robert M.Place has several decks, my favourite is The Alchemical Tarot, and several excellent books the most recent is The Tarot, Magic, Alchemy, Hermeticism and Neoplatonism. He lectures at the NY Open Center and Metropolitan Museum of Art. This is so in-depth. Thank you for introducing me to a few artists I need to track down. 😀 I am the editor/publisher of The Cartomancer (a quarterly print & digital magazine.) 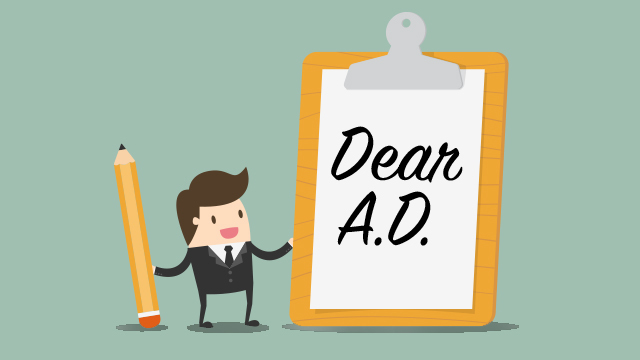 I would love for you to contact me about possibly writing an article. 😀 I’m also the author of several decks including the Fairy Tale Lenormand with Lisa Hunt (truly a star in the Tarot world as well as oracles and Lenormand.) She has a new deck that she’s working on. Can’t wait! I appreciate all that you have shared here. So much to look at! 😀 I would also love to send you a complimentary copy of The Cartomancer (summer) edition. It’s at the printer now. Just contact me so I can get you a print copy. Oh sure! Thanks Arwen, emailing you now! You left out a major strain of decks: the Harris/Crowley Thoth. It’s closely related to the RWS but is definitely its own thing; a modern deck based on the Thoth has a pretty different feel from ones based on the RWS. It was one of my primary sources when I made The Silicon Dawn Tarot a few years ago. Which I really need to get around to kickstarting a second edition of. It’s true, the Thoth vein of decks is a major one, but Crowley is definitely not for beginners, which is where I was aiming for this post. 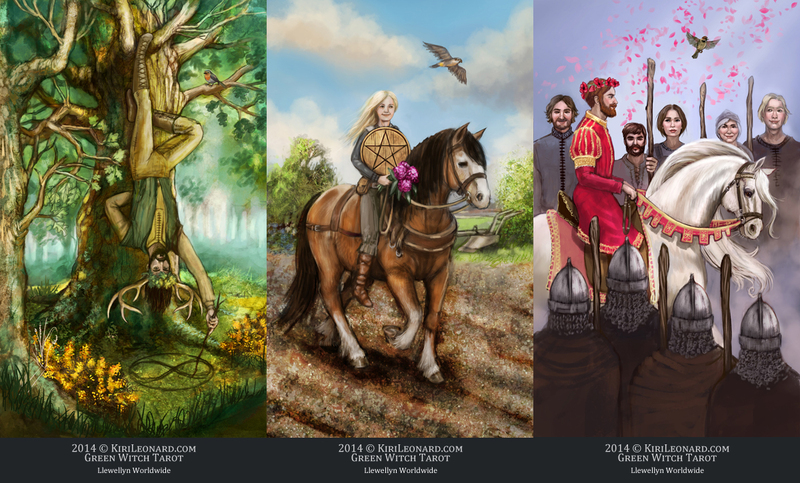 One of these days I’ll get to do a Tarot 201 post! And nice to meet you! I got a reading on the Silicon Dawn deck a few months back and it was awesome! IF YOU KICKSTART ANOTHER PRINTING LET ME KNOW.